Looking for Halloween events near Charlotte? Come join us in this exciting tour. We have just entered the first week of October, and for a lot of us, this month means Halloween. We love to dress-up as different spooky characters and prepare goodies for the kids’ trick-or-treat. 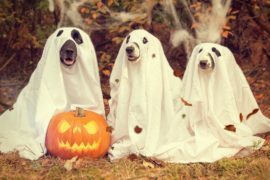 For this Halloween, though, isn’t it nice to give your dog a treat too by taking them on an horrifyingly fun adventure? 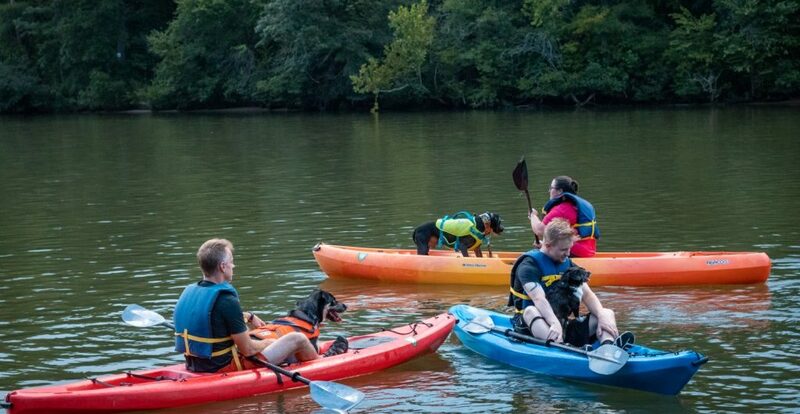 Because we love your dog, Happy Tails Canine Adventure Tours, in partnership with PetWants Charlotte, takes Halloween to the next level with our Canine Halloween Hiking & Wine Tasting Tour and Costume Contest. 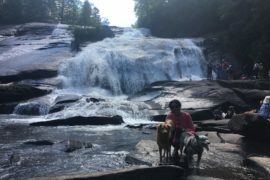 We’ll start the day with a “hair-ofying” hike at the “spooktacular” Pilot Mountain State Park, where we can you can enjoy the amazing views from above the winery rich Yadkin Valley, the vast Sauratown Mountains, the Blue Ridge Mountains to the northwest, and the skyline of Downtown Winston Salem to the South. Rising abruptly 2,400 feet from the valley floor, Pilot Mountain has long been a navigational and recreational landmark, offering miles of trails of different difficulty levels from super easy to challenging. Put on your dog’s scariest costume. Prizes at stake! 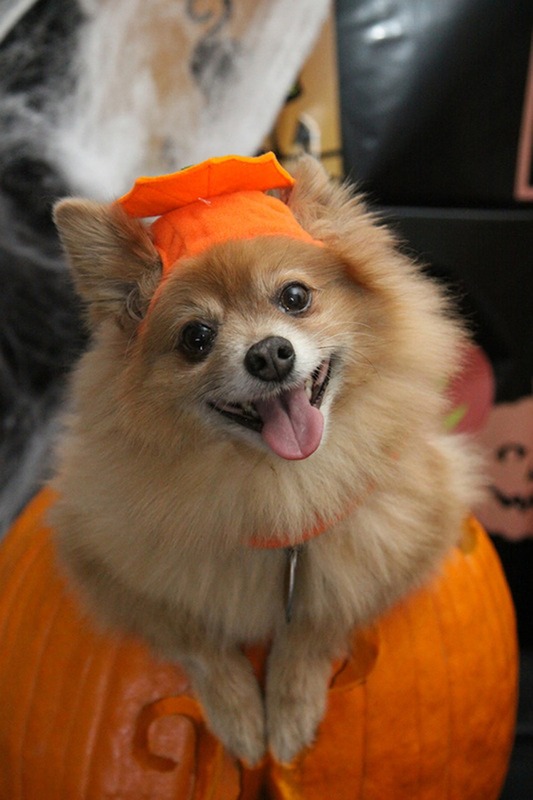 Happy Tails wants to make this Halloween a memorable one for your dog and you! 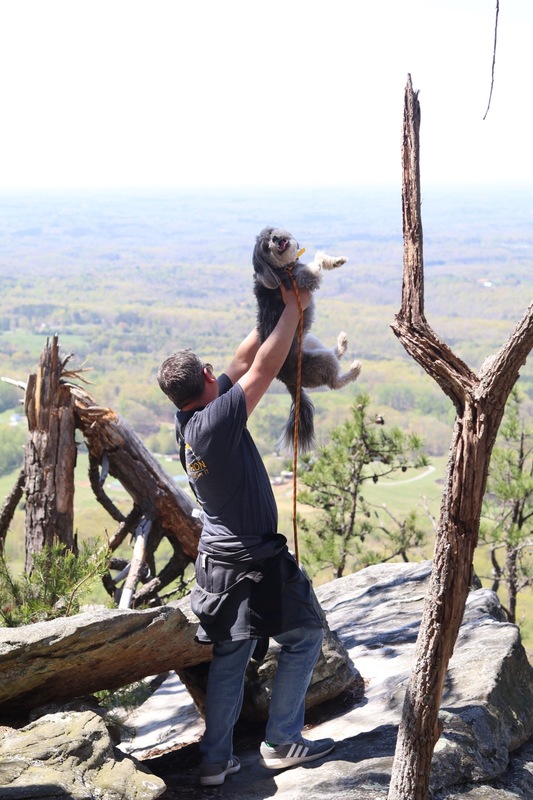 Hike “survivors” (spooky halloween laugh here) will then proceed to RagApple Lassie, one of Yadkin Valley’s most dog-friendly and award-winning wineries, for a picnic lunch and wine-tasting. 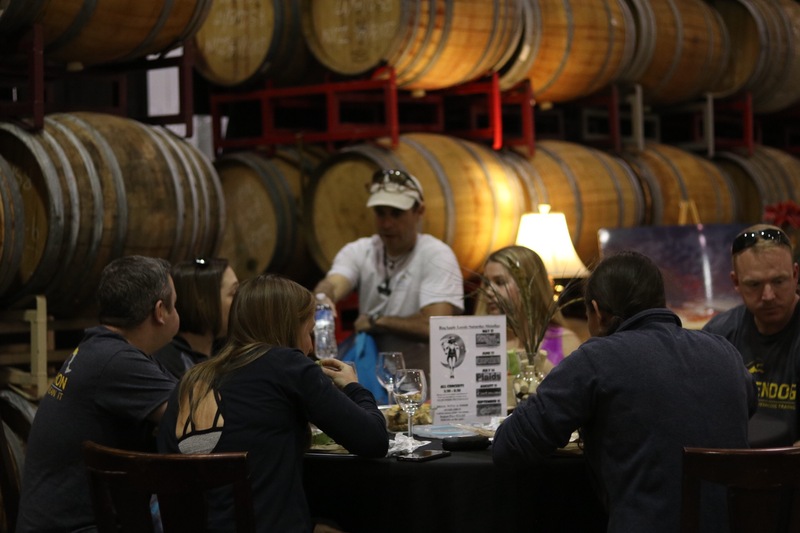 Experience local culture and savor the richness of their award-winning wines. 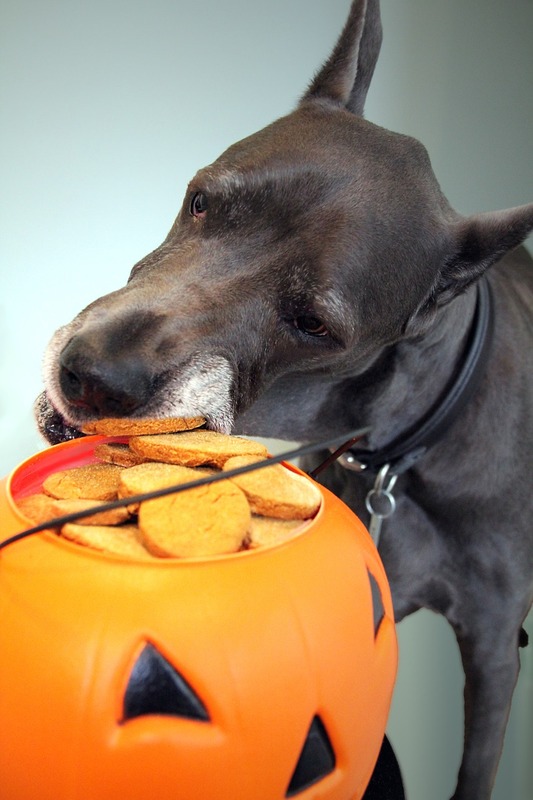 We also make sure to give the best treats that your four-legged monsters may devour. Of course, you can’t go to Yadkin Valley just to visit one winery. After the costume contest, we’ll take you to the super dog friendly Misty Creek Winery to cap the day off with dessert and more fine wines, to be followed by the announcement of the winners and awarding of the prizes. 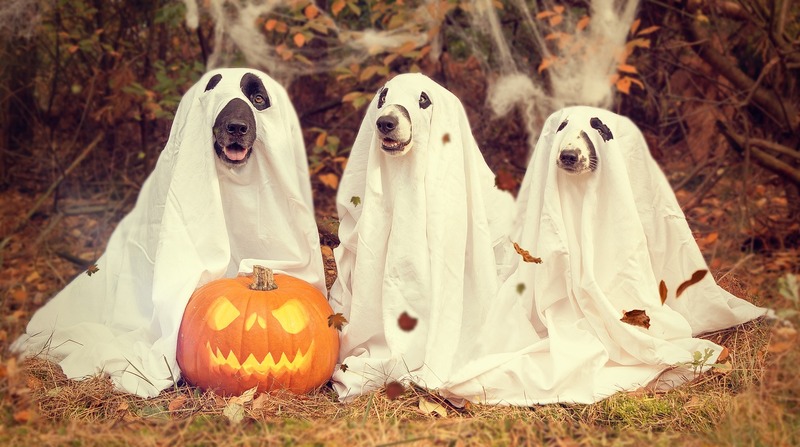 Celebrate this year’s Halloween with your best canine buddy.  Happy Tails Tours has got you covered. Your participation will go a long way. 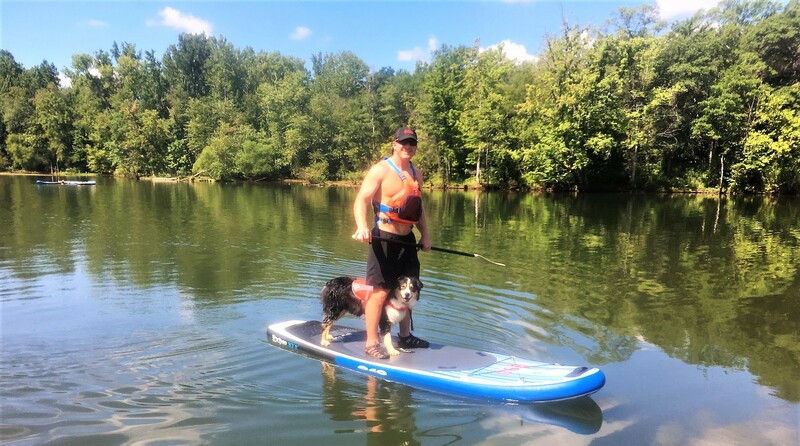 Ten percent of the proceeds from all tickets sold will go to either PetWants Give Match Feed Program to help feed the animals still impacted by Hurricane Florence, or to the Humane Society of Charlotte. Not only are you going to make your dog happy; you’ll be able to help other animals as well. 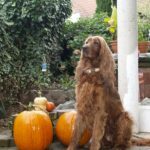 The Canine Halloween Hiking & Wine Tasting Tour and Costume Contest will be on October 21, 2018, at 8am-7pm. 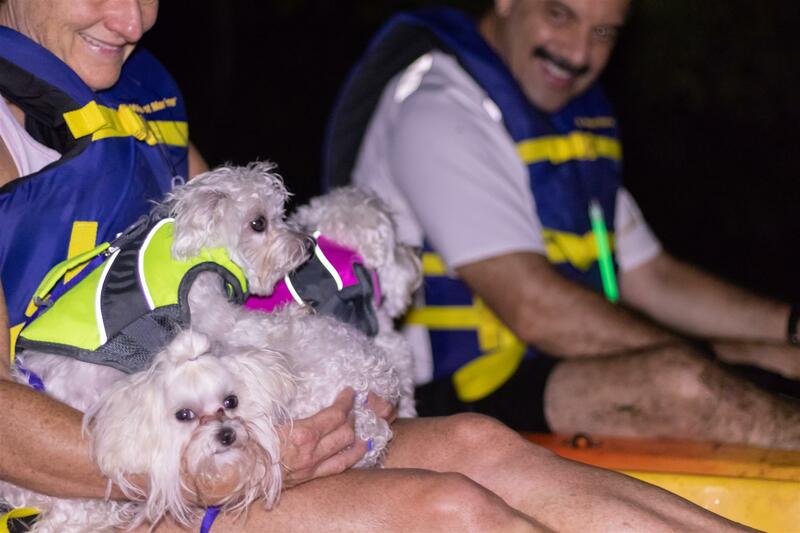 Celebrate Halloween for a cause with Happy Tails Tours and PetWants Charlotte on our Canine Halloween Hiking & Wine Tasting Tour and Costume Contest. Book a slot HERE. Help an animal in need. 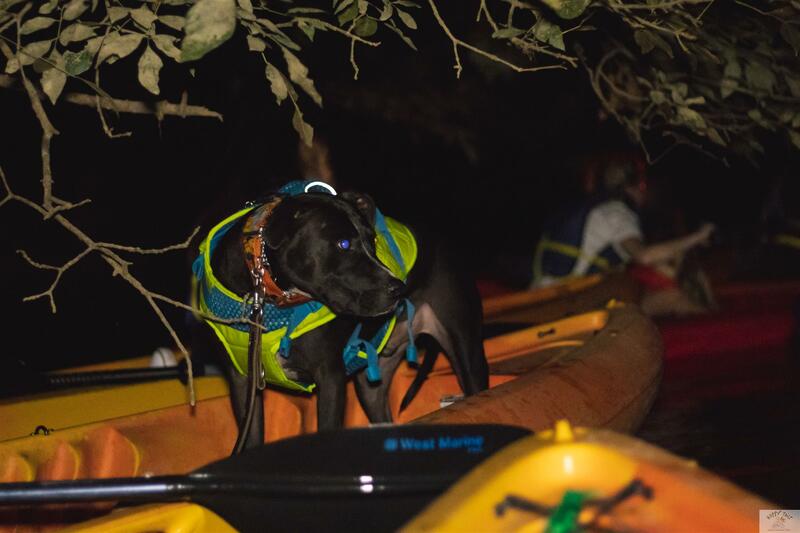 Book the Canine Halloween Hiking & Wine-Tasting Tour and Costume Contest now. 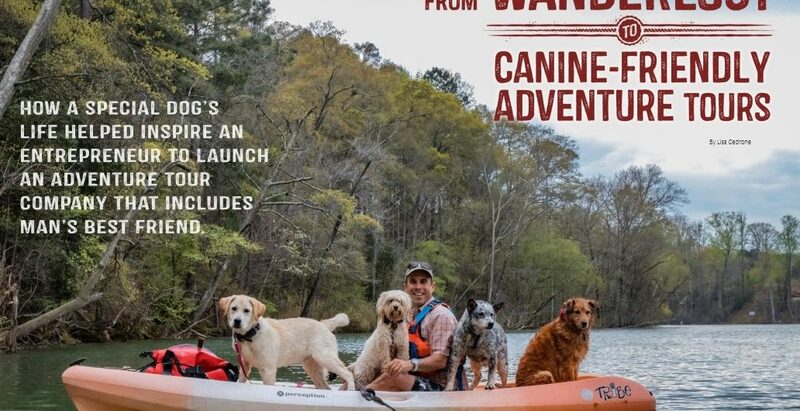 How a special dog’s life helped inspire an entrepreneur to launch an adventure tour company that includes man’s best friend. 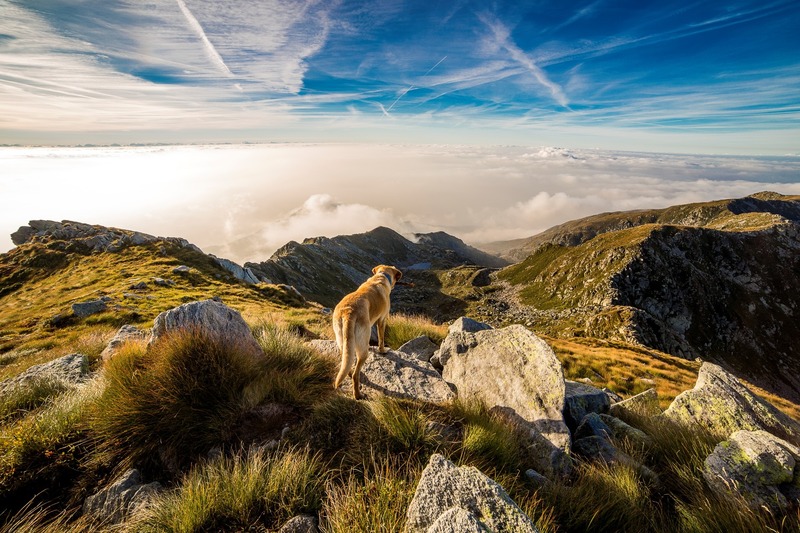 Sometimes a story grabs hold of your heart, and that’s exactly what happened to me three years ago when I read about David Blank and his dog Max in Wendy Cooper’s animal communication e-newsletter (www.animalcommunication.biz). 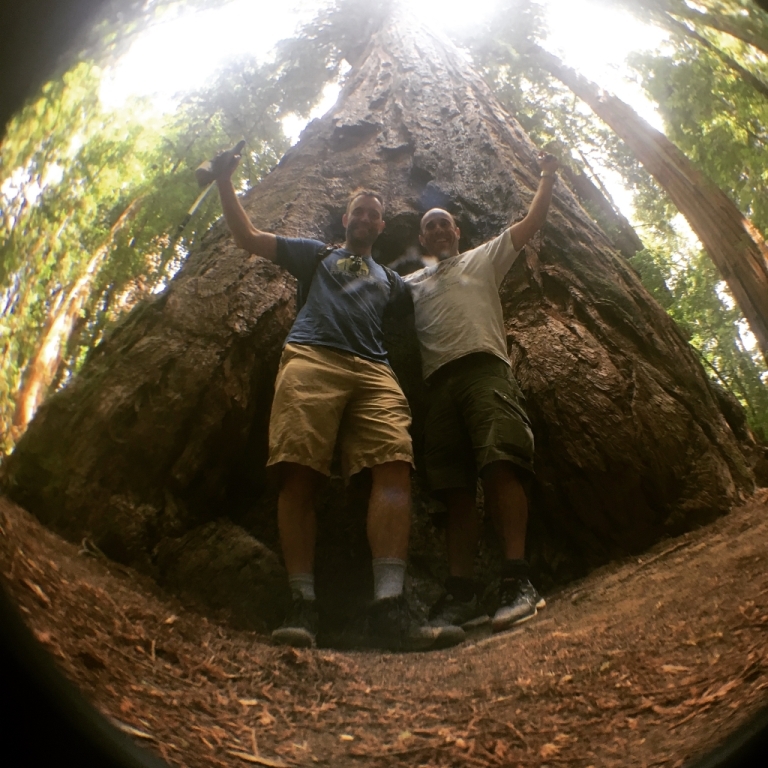 When I later reached out to David to share his story in Transformation Coaching Magazine, he wanted to wait until launching an adventure tour company that was inspired by his world travels with Max. Time rolled along, David and I touched base occasionally, and the original email held a steadfast place at the bottom of my inbox, never forgotten. 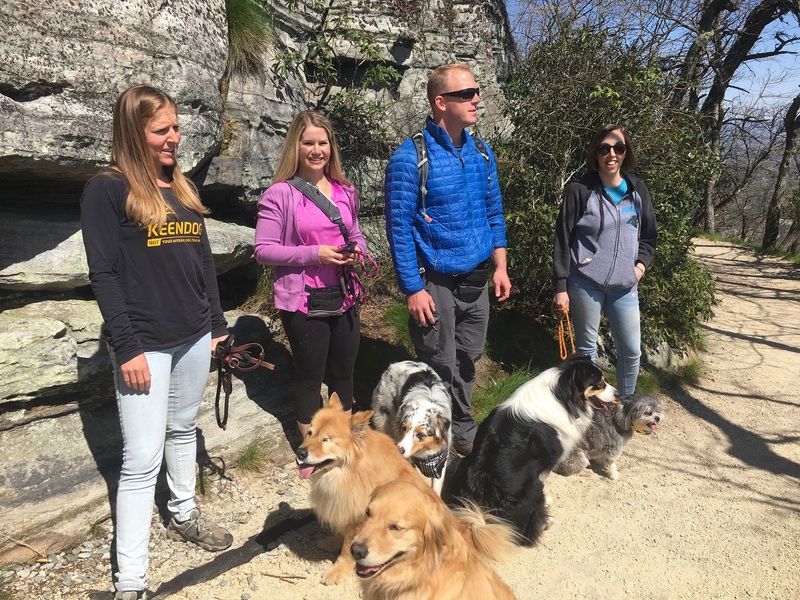 Good stories, like successful business plans, take time to come together—and this one did when David and his wife Claudia Fabrega, along with their dogs Dozer and Margie, opened Happy Tails Canine Adventure Tours in April 2018 (www.happytailstours.com). 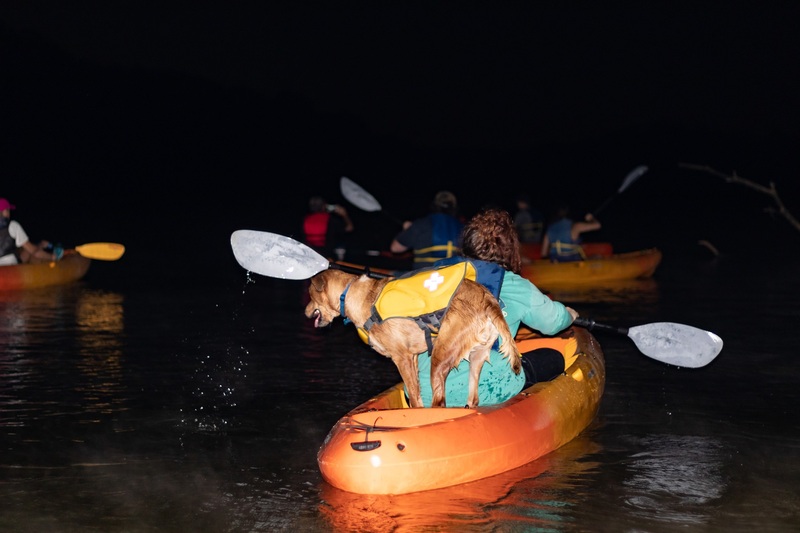 The Charlotte, NC-based business offers a wide range of canine-friendly outings and trips from a four-hour “Howl At The Moon” full moon kayak and paddleboard tour to an eight-day adventure throughout the U.S. Southwest. 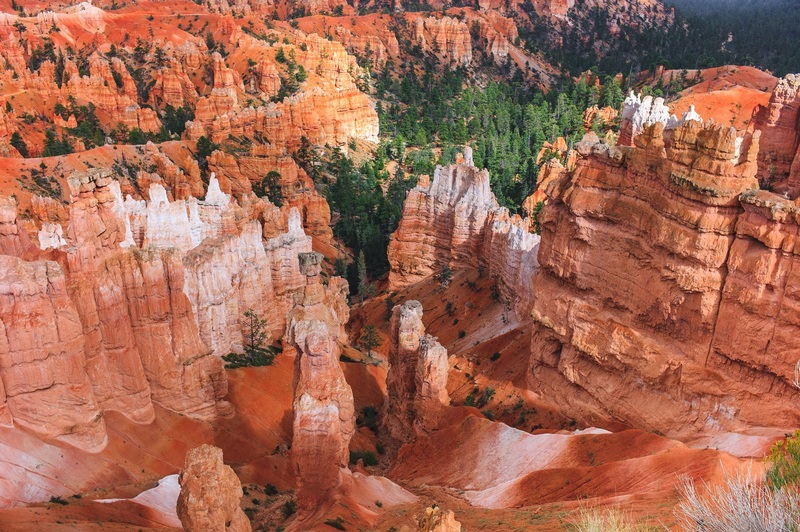 A professional tour guide and canine trainer, David has been to all but one of the 50 U.S. states and 45 countries since starting his travel guide career in 1993. 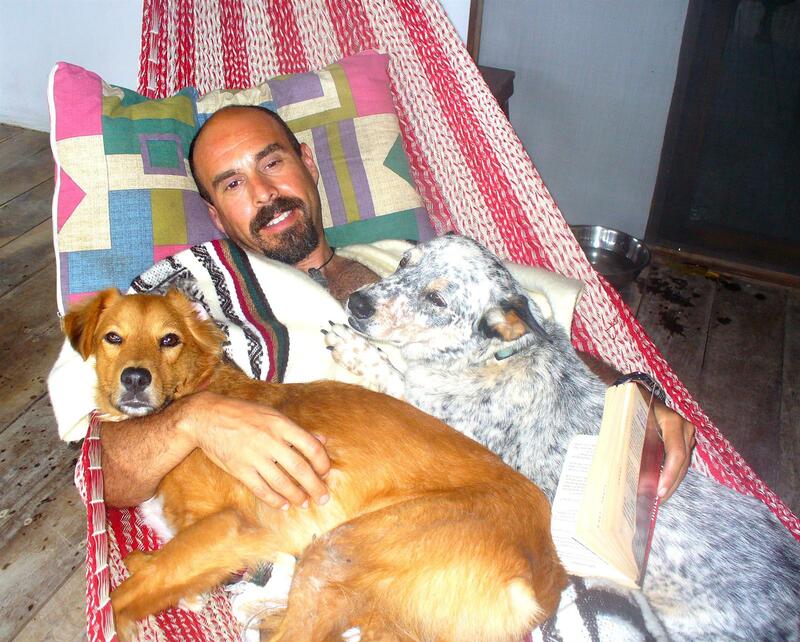 He has lived and worked in countries including Panama, Ecuador, China and France, and he even once hitchhiked from the United States to Guatemala to learn Spanish. While in Panama in 2007 he met Claudia, a native of the country and an attorney with a master’s degree in Maritime Law. 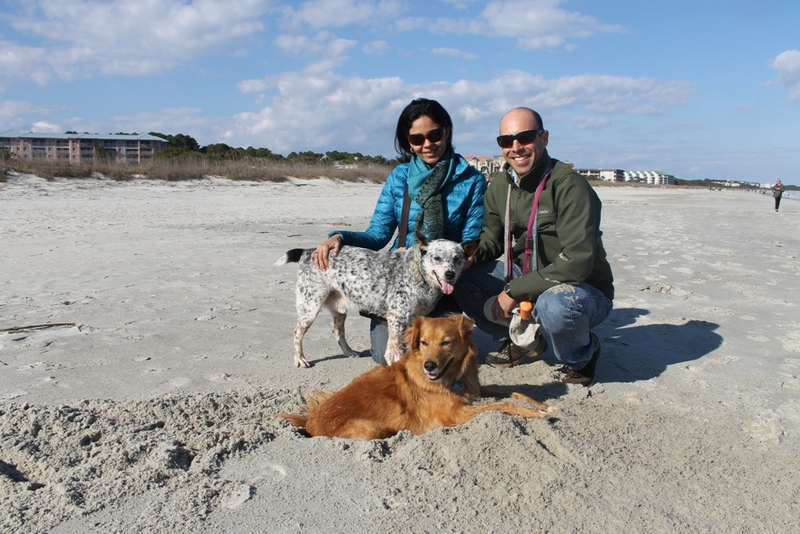 At the time, both Max and Dozer were part of David’s family, and Claudia fell in love with them all. Claudia and David married in 2009, but this story actually begins in 2000, when David was laid off from his job in marketing at Rosenbluth International, a large Philadelphia-based travel management company, not long after completing his MBA at Thunderbird School of Global Management. 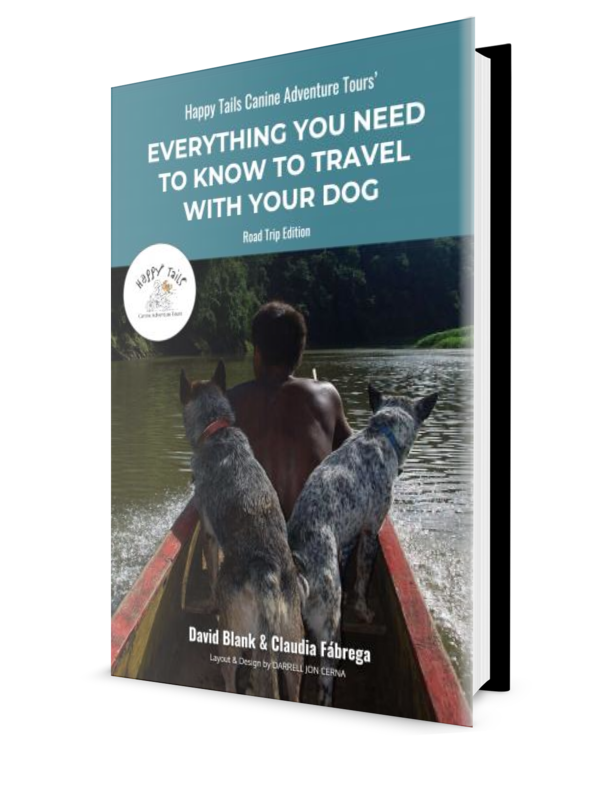 David was looking for a new job when Max entered the picture, and he helped David to change the direction of his career, fuel his lifelong passion for travel and adventure, and plant the seeds for Happy Tails Canine Adventure Tours. A few days after bringing Max home, David was offered a job with a new company. It was an excellent opportunity with a stake in the business, but it would require up to 80-hours per week at a desk. David accepted. 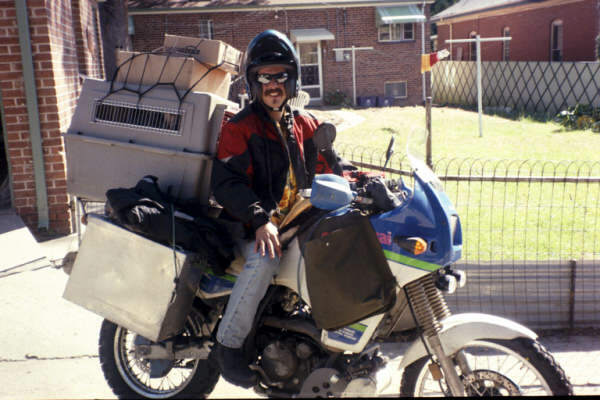 instead of becoming chained to a desk, he took off on a one-year motorcycle journey through the United States, Canada, and Mexico with Max in a large crate on the back of his bike. 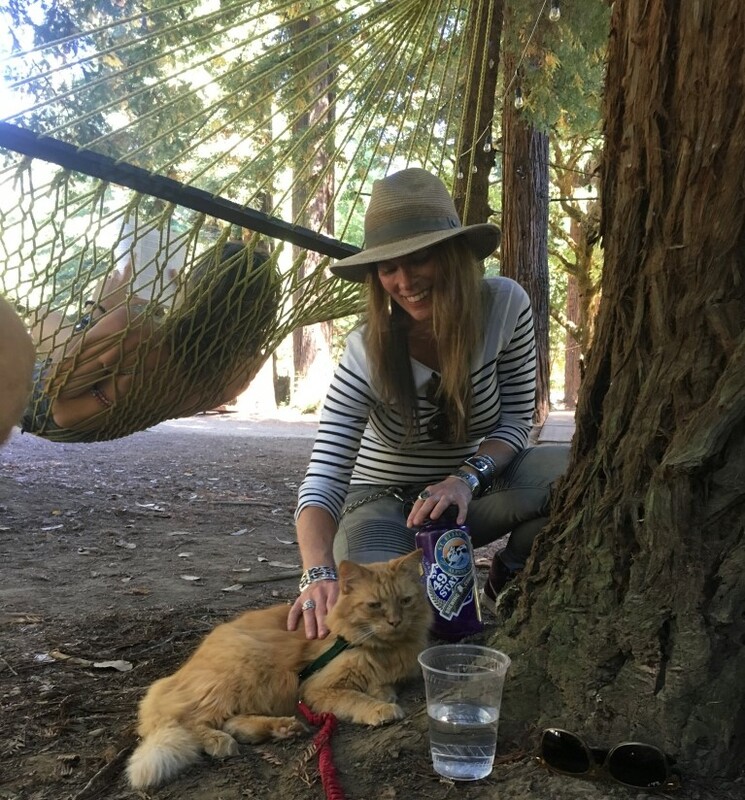 …They traveled over 20,000 miles on that trip, and it was the beginning of a heartfelt relationship that lasted until Max crossed the “Rainbow Bridge” at 14 and a half years old. 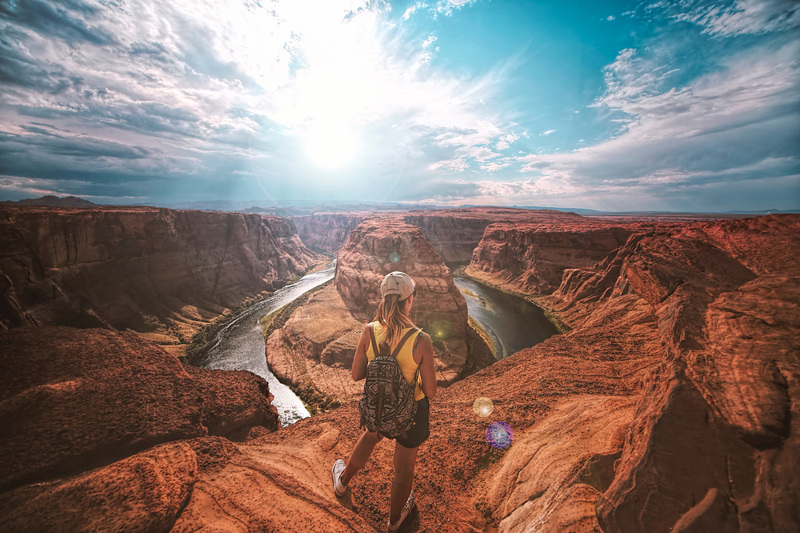 Transformation: Tell me about your passion for exploring/traveling and the outdoors? David: I have always loved to travel. 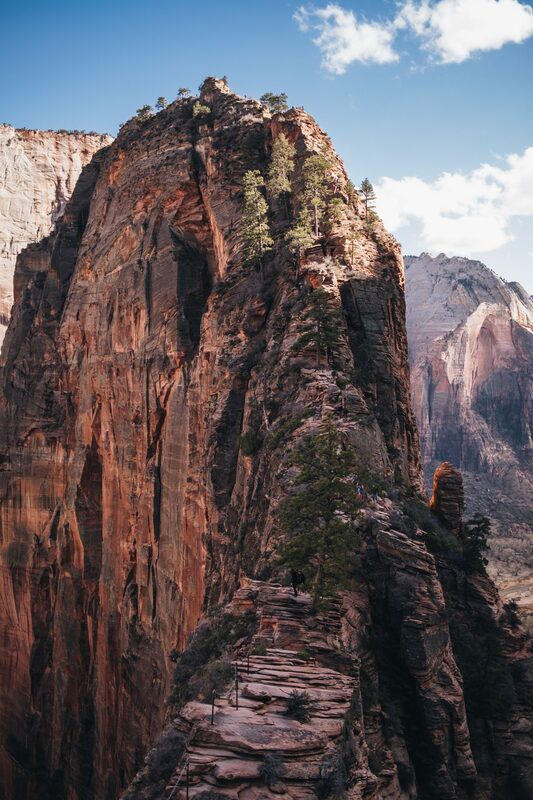 When I was in college in Boulder, Colorado, I did a lot of road trips around the Southwest to climb, ski and camp. When I was 20, I went to Europe for four months by myself and backpacked. Then the travel bug really hit me when I was backpacking through East and South Africa in 1992 with my friend Celine. 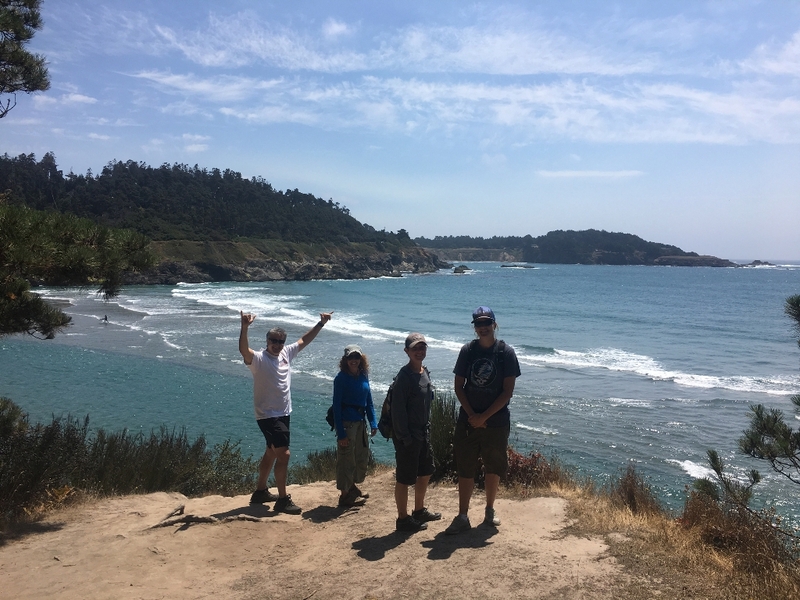 We met a 7-foot tall New Zealander named Rob who was an overland tour guide, and once I learned that I could get paid to travel I was hooked. 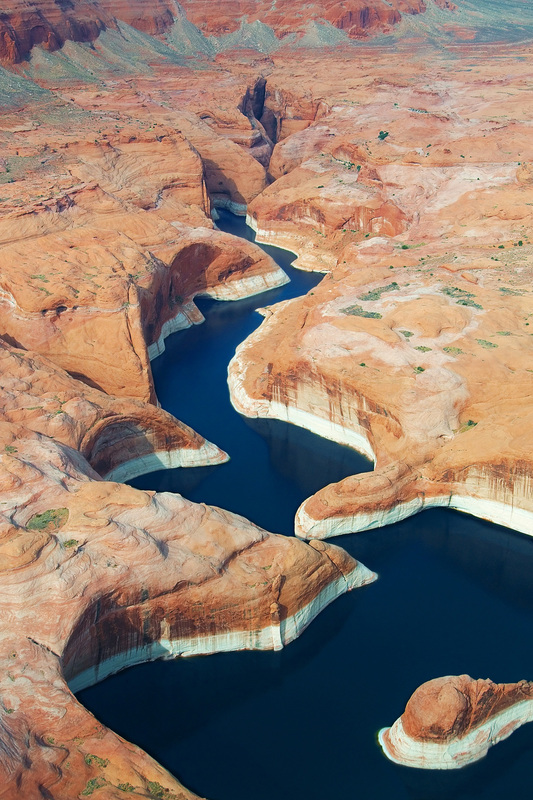 I began working for a company called Trek America in the United States in April of 1993. I’m not made to sit at a desk. 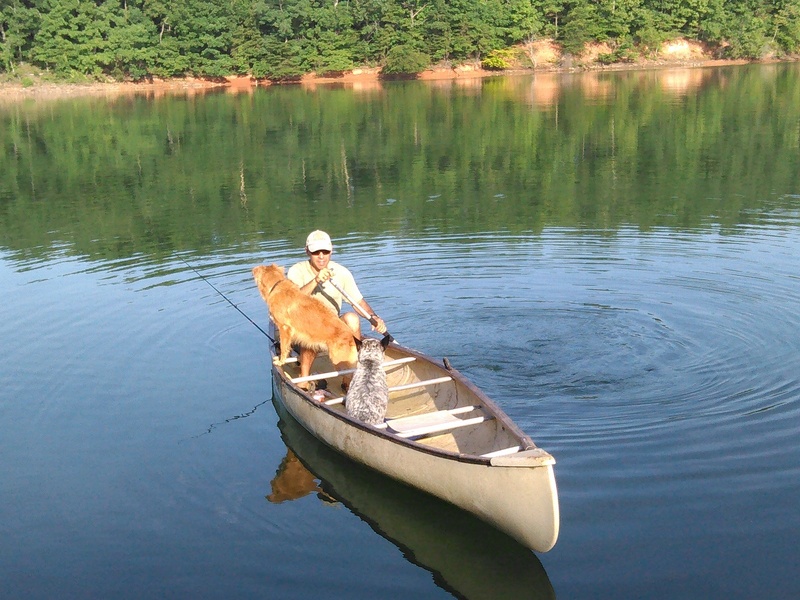 I grew up on a farm and I guess that my love of animals, and being outdoors is part of me. It would be another six years before I would go back to guiding, working as a raft guide and ski instructor in Taos, New Mexico in 2003. Transformation: Tell me about your relationship with Max and dogs in general? 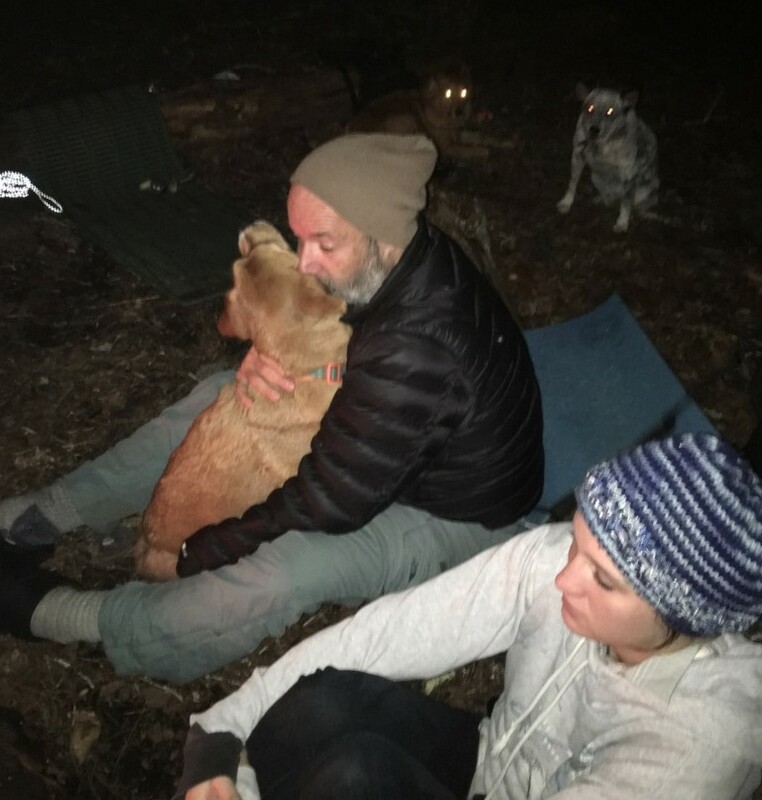 David: Animals are incredibly powerful beings that help us to connect with nature and with our true and often better Self. People often say of rescue animals, “Who saved who?” There is no question that Max transformed my life. 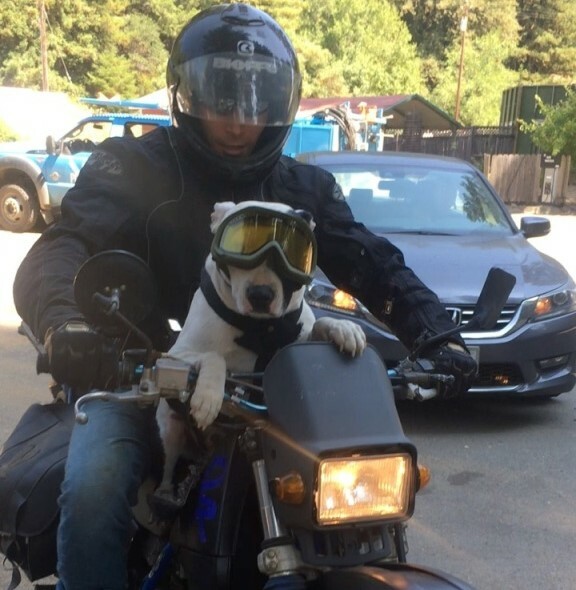 Taking off on a motorcycle with him one month after the adoption was an amazing adventure. 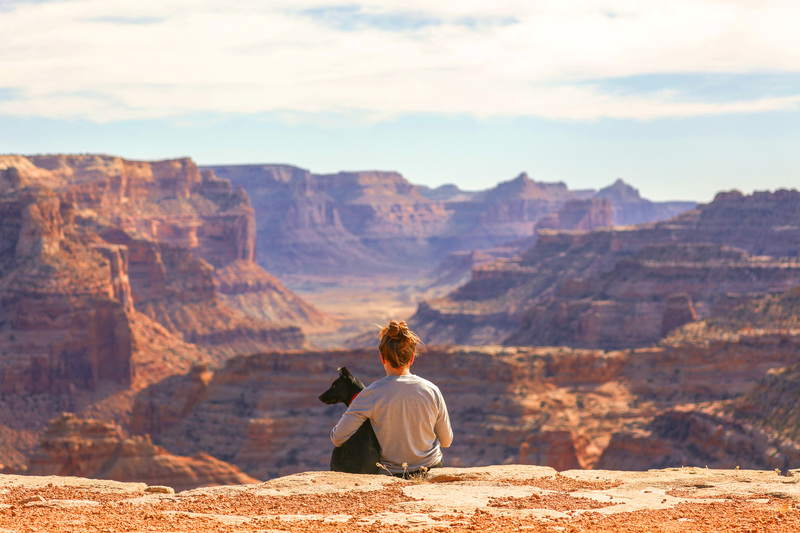 I don’t think anything can be a better bonding experience for a dog and a human than traveling together. A weak leader is a danger to the pack, just like a weak mind is a danger. Over the years I’ve often heard that negative voice in my head, which I see as a self-protective construct that develops in childhood. It’s always testing to see if it needs to protect; if I am not in charge, it can and will take over—and nothing good seems to come from it. So it is with dogs. 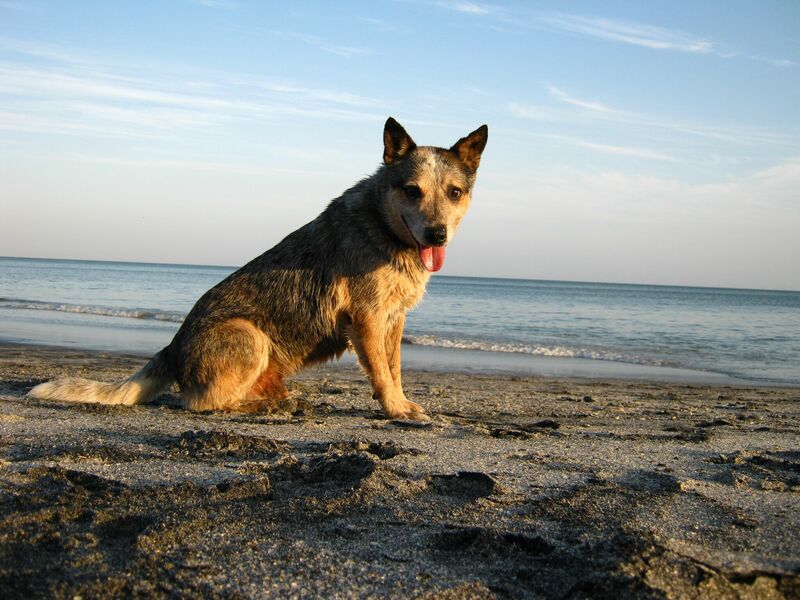 Many times dogs’ behavioral issues develop because we don’t know how to communicate clearly to the dog: “I have this. It’s no big deal. 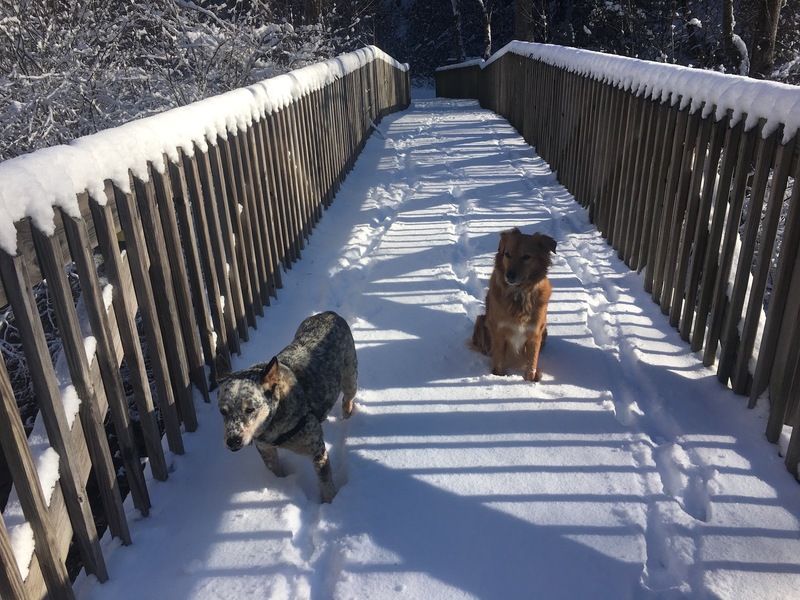 Everything is cool.” That’s why Happy Tails Canine Adventure Tours is so transformational. 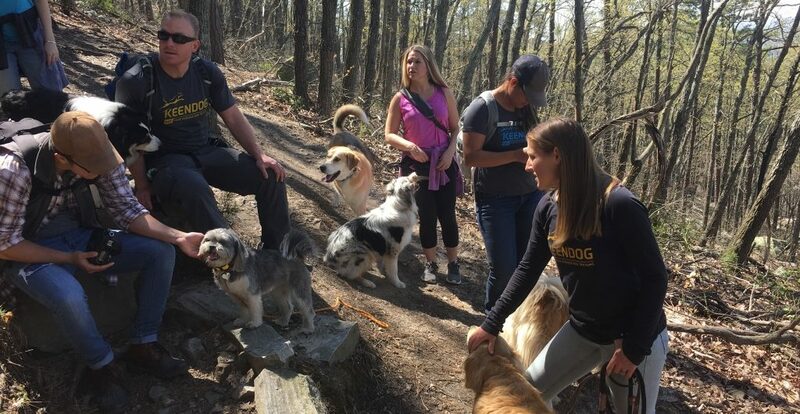 It’s all about building that strong relationship through clear communication with our dogs and our true Self—and really connecting. 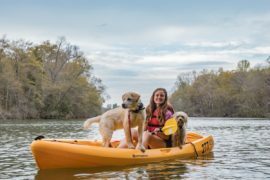 Transformation: How was Max the inspiration for starting Happy Tails Canine Adventure Tours, and what other factors played into starting the company? David: Max was and is the inspiration for a lot of things in my life. He was a true part of me. But the company is bigger than even Max because it’s about our relationship and about helping others to have that same type of experience, that type of relationship. 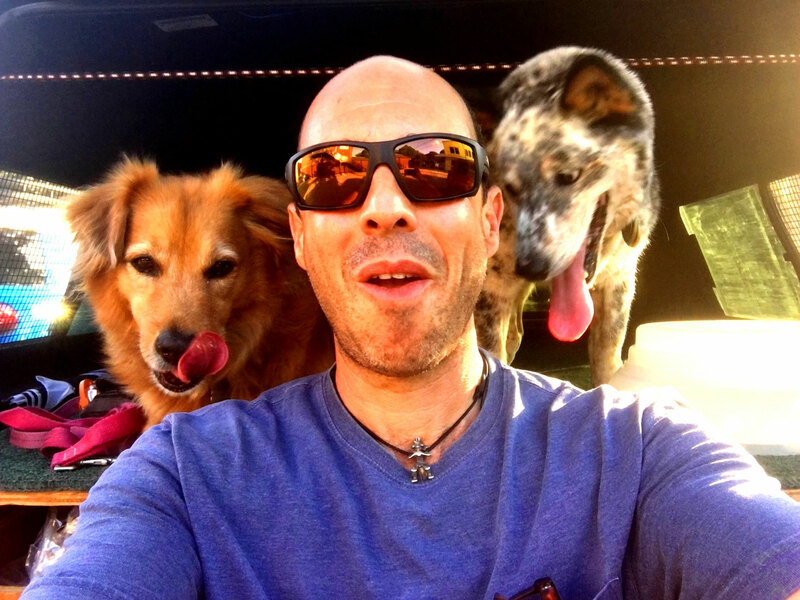 It’s about my amazing wife Claudia and how we are creating our vision of spending our life traveling with our dogs and sharing our passion with others, transforming their thinking and their lives. 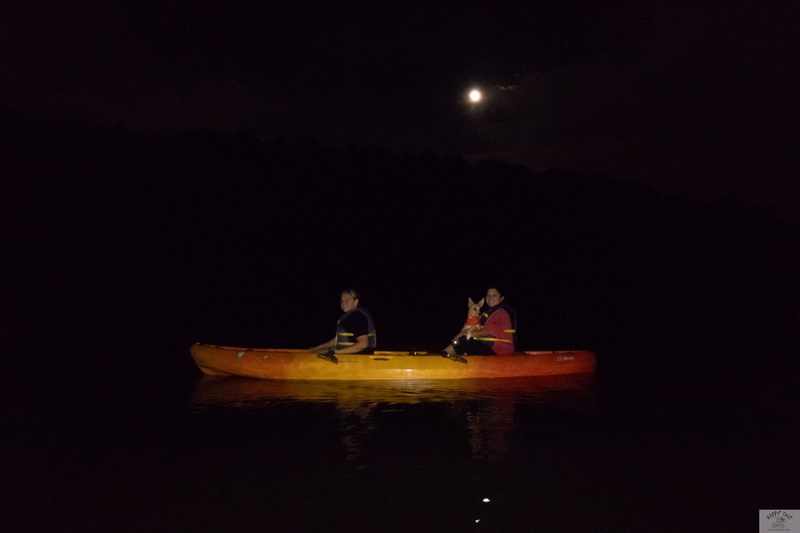 It’s about me finally coming out of hiding, letting go of trying to be what I thought I was supposed to be and do, and instead embracing who I am as an adventure travel guide and a person. Transformation: What advice can you give to other people looking to merge their passion with purpose into a business? David: Never give up on your dream and never quit. I’ve tried a lot of things in my life. I gave up a lot. 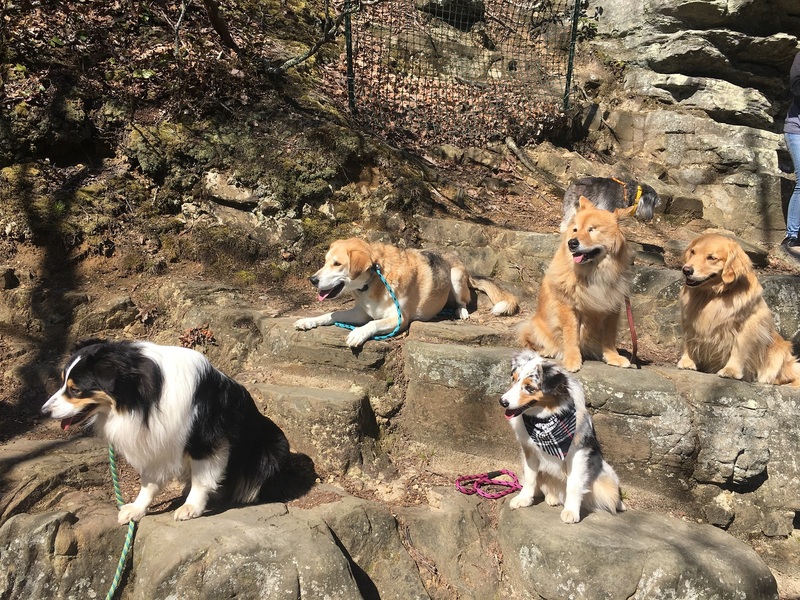 Recently, I realized that the only way we could fail with Happy Tails Canine Adventure Tours is if I give up. I keep reminding myself that successful people move from one failure to the next with enthusiasm. And they write—a lot. Write about why you want to do it. I’m not talking about a business plan. Just write and eventually your true passion and dreams will come out. 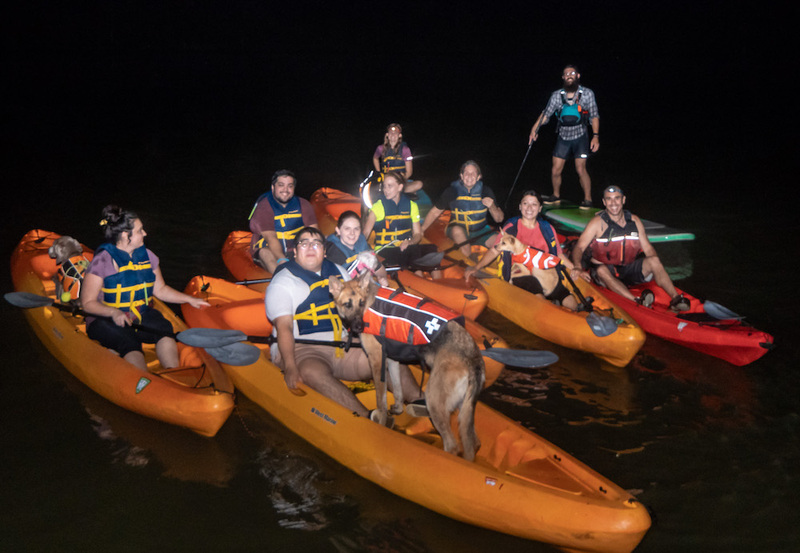 Call us at (262) 622-6463 to set up a private group tour, find out about one of our corporate incentive/ team building adventures, or just to get some great free tips on how to travel with your dogs. Like our Facebook Page and Follow our adventures on Instagram. Lisa Cedrone is the editor of Transformation Coaching Magazine and a freelance editor, writer and graphic designer based in Sarasota, FL. 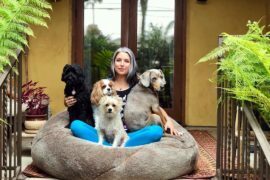 She also currently serves as the executive director of the C. G. Jung Society of Sarasota and was an editor in chief for two of the “Top 10” business-to-business publisher in the United States. Contact her at Lisa@ suncoasttransformation.com. View this article in Transformation Coaching digital magazine July 2018 issue.